This volume presents the work of Policy Solutions and FEPS over the last year, reviewing the trends and the most important activities of populist parties in the 28 EU countries. After the surge of European populists in the first half of 2018, the third quarter has been once again a blooming period for populist forces which seems to be worrying for the mainstream parties less than a year before the next European Elections. What kind of future do Hungarians dream of for themselves and their country? 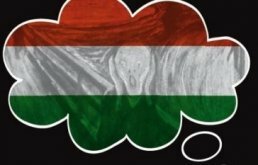 In this research study, Policy Solutions and Friedrich-Ebert-Stiftung have sought to find out how pervasive and dominant a sense of fear is in Hungarian society. 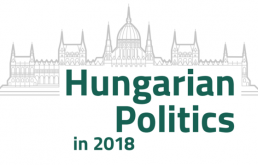 Policy Solutions - FES Budapest research report on the popularity of social democratic values in Hungary and the credibility of political parties in left-wing issues. This FEPS - Policy Solutions - FES Budapest book surveys the popularity and influence of populist parties in the EU in 2017. Readers can also learn in more detail about the state of populism in five EU countries where elections were held last year. What is the Hungarian Dream? What kind of future do Hungarians dream of for themselves and for Hungary? In this book, the Foundation for European Progressive Studies (FEPS) and Policy Solutions examine how the Visegrád countries reacted to the crisis in Ukraine. Policy Solutions’ study aims to present Hungarian public attitude concerning socioeconomic changes twenty-five years after the regime change. If there is a single political term which even those indifferent to public life have heard in the past year, it is populism. This paper analyses the possibilities of the European Left in the era of populism.